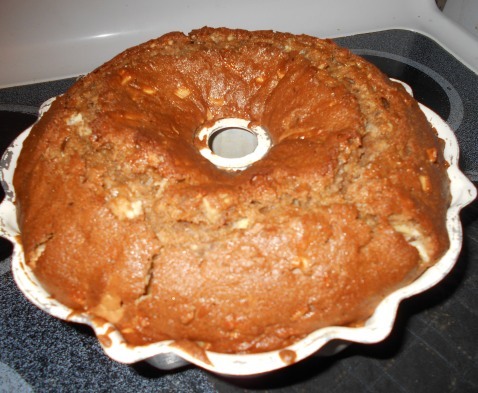 It is an Apple Cream Cheese Bundt Cake. Let me tell you, it was amazing. Hubby thought it was amazing too. Both of us are not fans of light fluffy cakes. We like them dense and hearty…yep-dense cake. This one is so moist and oh so yummy. If you are having company, this one is perfect to impress yet easy to make. I was a little skeptical when making it as the batter really filled the pan. I was afraid it would run over in the oven. It didn’t. It is just SUPER high. It is honestly going down as one of my favorite cakes ever!! Today I am hooking up with Freedom Fridays. We have $50 Visa Gift Card and a Monsters University Blu-ray Combo Pack giveaway going on here. 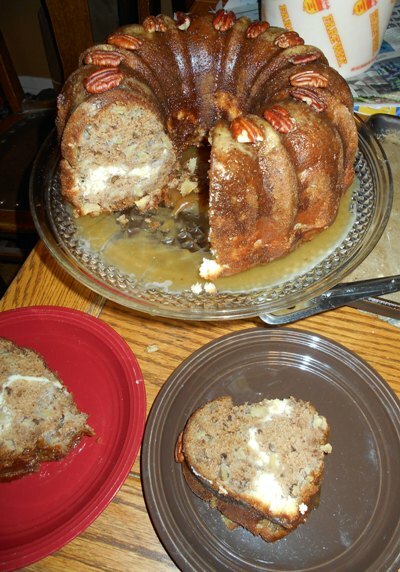 This entry was posted in Cooking, recipes on October 17, 2013 by Jo. Oh yay! 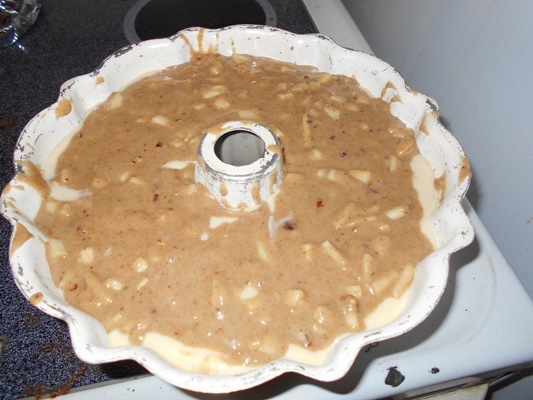 I was wanting to bake something tonight…. maybe I will try this!! Looks super yummy! Was just looking for a new recipe with apples and this cake looks like it fits the bill. Thank you! I will need to give this one a try this weekend.